This case illustrates how modern technology, modern techniques, and new materials can be used to save teeth that would have been slated for extraction in the past. This patient presented with a previously root canal treated tooth with iatrogenic perforations and an untreated MB2 canal. It became symptomatic, with a chronic apical abscess. 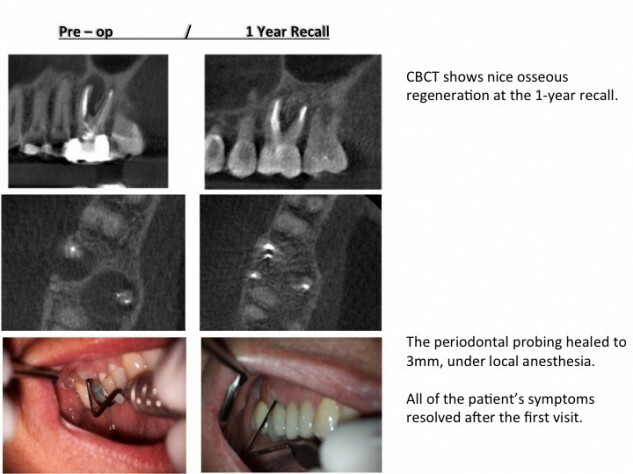 Cone Beam Computed Tomography aided in locating two perforations in this tooth, that occurred during the original treatment. 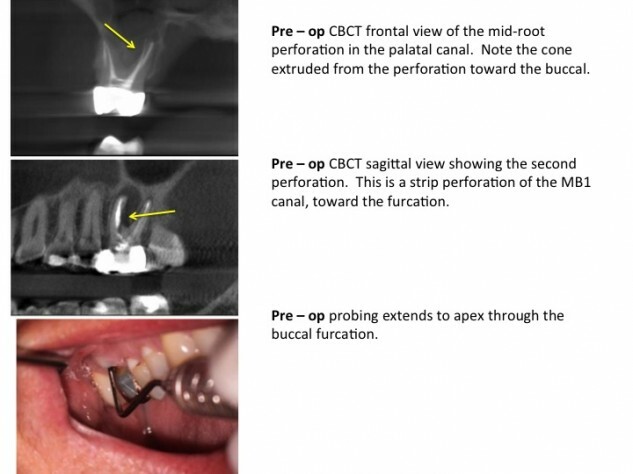 The first was a strip perforation in the MB1 canal into the furcation. The second perforation was in the palatal canal, and a gutta percha cone was extruded through the perforation. 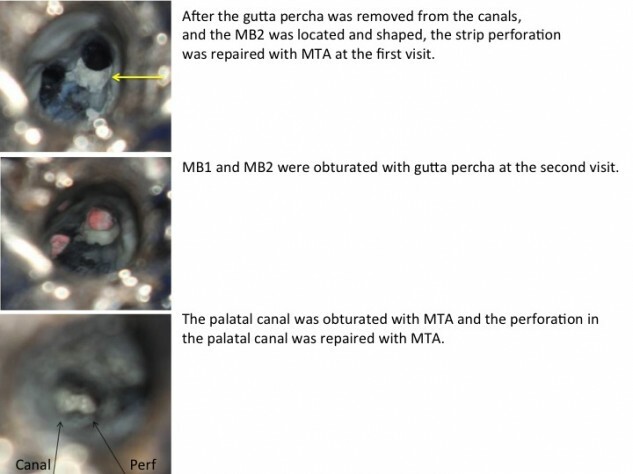 CBCT also helped to locate a previously untreated MB2 canal. The surgical operating microscope allowed for visualization of the perforations and the MB2 canal during all phases of treatment. Endovac negative pressure irrigation was used to clean and disinfect the perforations. Mineral Trioxide Aggregate allowed for predictable repair of the perforations. The patient was very happy to save her tooth from extraction!